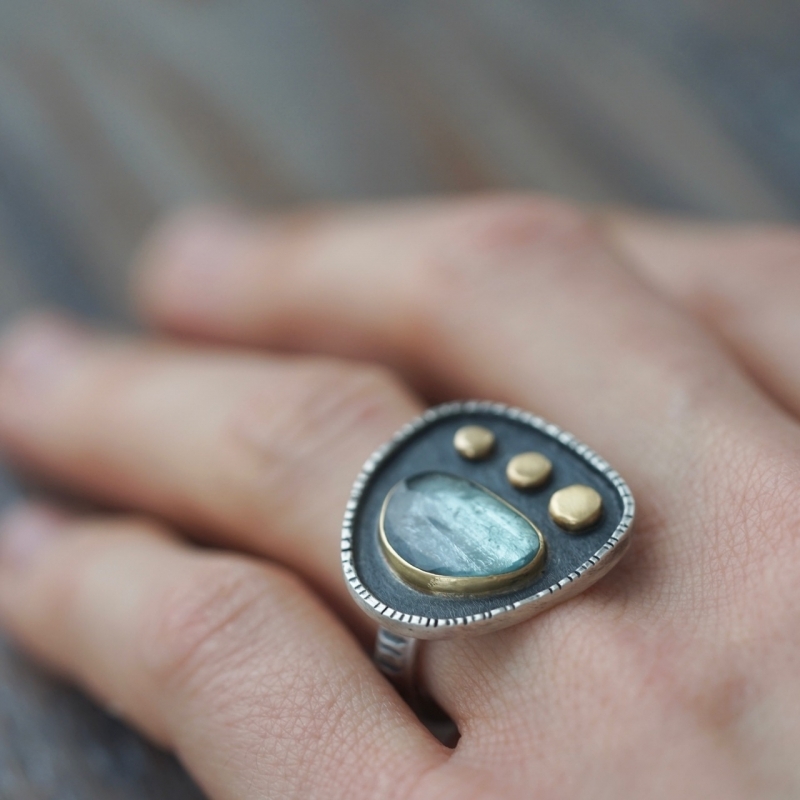 This unique statement ring features a beautiful, light blue, rose cut tourmaline as its focal element. The stone is set in 18K gold and is accompanied by three 18K gold discs. The textured and darkened background enhances the shimmering sparkle of the stone, and adds a beautiful contrast to the gold elements. The setting is framed with a fine, irregularly textured silver wire. The oval sterling silver band was textured to complement the look, and the ring is marked with a maker's stamp. As with all Mazulou items, this piece was entirely hand-fabricated in the artist's studio.